My name is Beverly Levitt. 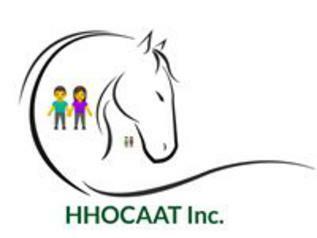 I am the founder of Healing Horses "One child at a time" Inc. Many in the Tampa Bay area read about our mission in the Tampa Tribune in August of 2010, or viewed our story on Channel 8 news. We were aired on Channel 9 and Channel 10 news in Dec of 2015, as well as the Laker/Lutz News for our service to our community and need for support to continue our work here. In June of 2010, eleven starved, abused and sick horses were dumped on my small farm in Wesley Chapel, Florida. I had been contacted by a lady who said she needed pasture for six horses that were rescues and had heard I had good grass. I of course, agreed to share the grass. Three arrived on the 13th late at night that were not in the original herd she had said she was bringing. I could see in the late night darkness that they were very thin, but I could not tell the extent. I got up at the crack of dawn the next morning and laid eyes upon them as the sun was rising. The first and the worst that I saw was Moon Light. All I could do was sob. Every bone in her body was to be counted. No muscle mass, no light in her eyes, head hanging, leaning against my barn gate, because she had no strength left to stand. Next was Queenie, starved and fighting for every breath, her lungs blown from a neglect in treating her now severe heaves. Literally every inch of Queenie covered in the worst case of rain rot I have ever seen. Next was Lacy, four years old, thin, never ridden and already knew that humans brought pain. Lacy was smart. She had already learned how to use behavior to make the "humans" go away. That same day eight more, not the six I was originally told, arrived. All in the same horrific condition. Bones portraying a story that indeed had been a nightmare for each horse. Hooves so long neglected that some were in pain. Painful rain rot on all, but some covering their entire bodies. Blue Jeans starved, covered in rain rot, beaten in the mouth, teeth knocked out and a small part of her lip gone, not allowing anyone to touch her face and trembling with fear. I felt such a mixture of emotions looking at these once noble and beautiful creatures. Anger, anguish, anxiety, fear and disgust that any thing claiming to be human could do this to another living being were a few of the feelings. The thought of hunting down and dragging these so called humans to the woodshed occurred to me, as well. Being an retired animal tech, I've seen a lot of neglect and took a lot of rescues on in my life from possums to kittens, to dogs, to prairie dogs, to ponies and anything that creeped, slithered, crawled or had fur or scales. But, eleven very ill horses all at once, was a bit of a frightening challenge. After a quick brain check and adding up how long this lady had been in possession of six of the horses (over five months), things were not adding up. One small bin of feed, that was certainly less than 50lbs and one small bin, yes bin, not bale of hay were brought that day. I immediately demanded that a vet be called, a blacksmith.and that feed and hay be brought. The next day I began making these things happen on my own. Quickly the lady vanished. I knew I was in deep, deep trouble. Trouble because these were God's creatures and I certainly could not turn my back. Trouble because how could an every day blue collar person manage this. On the third night, I woke at 3 am and realized that these horses were sent for a reason. First, to heal their bodies and spirit. Second, to help children that were either challenged or traumatized. God had literally laid this life long dream of helping children in my lap. He never promised it was going to be easy. So I pulled up my boots and with the help of many deeply caring volunteers and donators, our ongoing journey has been one of success. Ten of the eleven original horses survived. Some have stayed on here in sanctuary due to age and disabilities. Those who live their lives out here, live them filled with attention, love, full bellies, medical treatment and a purpose in life. We use these horses to service special needs, at risk teens, working with Eckerd's, Hillsborough and Pasco County Juvenile Justice System. ALL children attend our program at NO CHARGE. Currently we house up to 20 horses on a total of 27 acres between our farm here and on property donated in Brooksville. 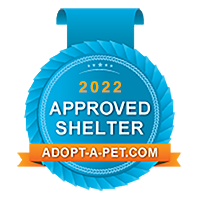 We provide sanctuary for those who can't be adopted until they pass over the bridge. Those horses in sanctuary aid special needs and at risk teens in their healing. Another 693 have been networked to safety via cooperation of many advocates and fellow rescues across the country. We follow AAEP Care Guidelines for the care of our horses! We stopped slaughter in the U.S. by defunding USDA horse meat inspection. Sadly this past November 2011, three politicians went into a back room and took the defunding out of our Ag Appropriations bill, being Kingston, Khol and Blunt. Through the actions of many good advocates the defunding language has been added back into the Ag spending bill for this year. Horse slaughter is filled with horrific cruelty and most are fully aware of their deaths. They often suffocate in their own blood. US animal cruelty laws for the slaughter of livestock state "One (1) strike insensible" The captive bolt used in livestock slaughter is not designed for the physical or phsyological make up of a horse. Therefore, it takes from 3 to as many as 11 strikes have been documented to down our horses. Often striking eyes and causing horrific suffering. With most regaining consciousness in 30 seconds, making them aware of their bleeding to death. Our horses meat is toxic,due to the medicines we give in their life time, bute alone, causing aplastic anemia, leukemia, auto immune disorders, spontaneous abortions and cancers. These medicines are BANNED from use in animals for consumption in the United States of America. Yet our government turns a blind eye while we ship it abroad to feed unsuspecting diners. Often in Europe, pregnant women and children are encouraged to eat horse meat, because of it's high iron content. Please contact your Senators and Congressman and demand they co-sponsor and pass the S.A.F.E. Act to ban horse slaughter for human consumption both in the US and to stop the shipment of our horses abroad. The S.A.F.E. Act will make it illegal both in the US and abroad to transport American horses to slaughter for human consumption. According to our own USDA reports 92% of the horses going to slaughter for foreign pallets to dine on, are sound, healthy horses, under the age of 10. They are peoples pets, show horses that don't bring the win expected and our race horses, taken straight off the track to a kill buyer. The over breeding and greed of the horse industry has caused great suffering for animals that can be retrained, re-homed and again serve man kind. © 2011 Healing Horses "One child at a time" Inc. All rights reserved. No Content, photos or graphics may be reproduced, by any means, without Healing Horses "One child at a time" Inc. written permission and consent.